We're just 5 minutes from Syracuse University and 5 minutes from Lemoyne College, and 1 minute from Nottingham High School. 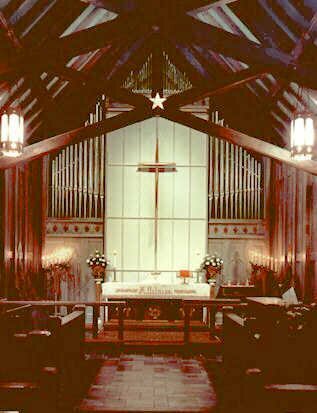 NO SERVICE JAN 7 - Joint service at St. Davids Dewitt at 10:00 a.m. If you are looking for a smaller parish where people know and care for each other, St. Alban’s is a great place to be. Together we worship our Lord Jesus Christ and serve the world in His name. Each Sunday we gather for Bible Study, Holy Communion, and a social time after worship with coffee and refreshments. People of every age, race, and sexual orientation are welcome at St. Alban’s. Our buildings are used four nights a week for various 12 Step groups, and we are known as the church where you can get your taxes done for free by an IRS trained volunteer. Because we are a smaller congregation we choose to approach serving the community by pairing up with other community organizations who need our members’ help. · Meals on Wheels: Four volunteers serve one monthly route and one weekly route. · Valley Worship Center: We are exploring this new ministry of helping them staff their food pantry on Thursdays. They also are a small parish and on May 1 their geographical area doubled, increasing the need for volunteers. · New Salem Missionary Baptist Church’s food pantry: Each Lent we collect about 500 cans of fruits and vegetables for their food pantry on Syracuse’s South Side. · Taxes: One member is a trained tax preparer and offers this service for free two days a week. · Center for New Americans: In December we place a Christmas tree in the church and “decorate” it with hats, mittens and gloves for refugees arriving in Syracuse. · Pillowcases for Nursing Home Residents: One member makes over 100 pretty pillow cases each year for the residents in a housing for the memory impaired. The Rev. Julie E. Calhoun-Bryant arrived in September 2006. Mother Julie is a 1988 graduate of Yale Divinity School. She is married to Brian, an Apple Computer Systems Engineer at Syracuse University. They have 22 and 16 year old sons. Mother Julie works half time, but is always available by phone or email. This new partnership of three smaller parishes on the east side was created in 2015. Emmanuel Church in East Syracuse, St. David’s in DeWitt, and St. Alban’s worship together three Sundays a year and on Maundy Thursday. Several times a year we send members to serve a Sunday meal at the Samaritan Center, as well as supporting one another’s ministries.